Eleanor J. Guerrero, J.D., a former prosecutor, is a dynamic, motivating speaker. She uplifts her audience, inspiring with humor, strength of vision, clarity and practical examples for positive action. Her topics range from Success in Challenging Times (for workplace and home) to Leadership skills, Full Faith and Credit and Domestic Violence laws and humorous keynotes on Stress, At Risk Youth, Fulfilling Your Role in Life and Success in Life. She creates workshops to order. She has been a national trainer for over 15 years and an attorney for almost 30 years. She has practiced law in New York, New Jersey, Florida and Colorado. Her message is one of hope and change. She is committed to positive action for a healthy society. Ms. Eleanor Guerrero can take complex subjects and make them clear. She works with professionals and equally inspires positive images for women and young people at universities. She lectures on the legal aspects of enforcement and prevention in Family violence. She has particular expertise in detailing the profile of the victim and perpetrator and how to make the courts more victim friendly. Eleanor Guerrero has trained thousands of police, court personnel, corporate employees and students. Author of "The Miracle of Mentoring", Ms Guerrero is a national speaker on working with at risk youth, mentoring and juvenile crime prevention. Topics include all aspects of Family Violence; Helping At Risk Youth; Suicide Prevention; Diversity; Stress Prevention for Professionals; Positive roles for women; Self-esteem; Sexual Assault and Prevention. Eleanor Guerrero is a federally recognized expert on Full Faith and Credit laws that affect all States and Tribes when people relocate with out of state protection orders. She trains attorneys and the Justice system. She stresses the need for vigorous enforcement at that critical time, when the risk of partner homicide is greatest. She details the powerful related Federal firearms laws, that apply to all states and tribes. Her ethnic diversity lectures are universal and applicable to all minorities in the global community. Her experiences and stories are firsthand and a practical, deep learning tool. She shares what she has learned: how different cultures learn in different ways. 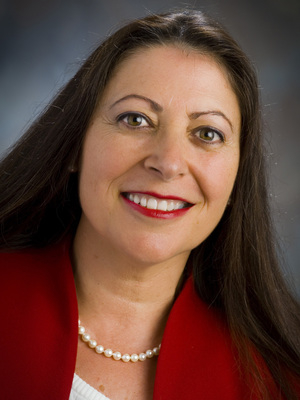 Eleanor Guerrero has brought her message to professional associations, law enforcement academies, universities, churches, schools, hospitals, veterans groups, state, federal and tribal legal and judicial conferences, and police groups. She has spoken at over 100 legal, law enforcement and advocate conferences in the last four years. Eleanor Guerrero is a strong advocate of mentoring in juvenile crime prevention. Her message is strong and universal: Rise to any challenge, use your talents and do not give up. She knows one individual can make a difference. Her examples are entertaining stories. Eleanor Guerrero was a county prosecutor in New Jersey, one of 50 in a county of almost a million. She served in an elite domestic violence squad. 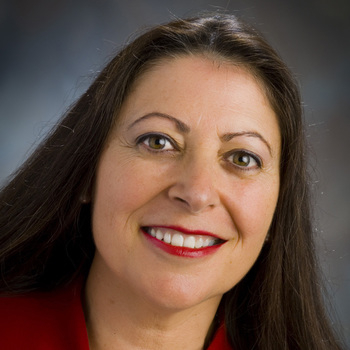 She was the Southern Ute Tribal prosecutor. She has been a trainer for the Montana Department of Justice and the Montana Coalition Against Domestic and Sexual Violence on Full Faith and Credit laws and family violence. She created programs and wrote Full Faith and Credit books published by the State of MT DOJ, available on their website. Eleanor Guerrero's trainings are certified by the federal IPA and by State Bars. She is the founder and Executive Director of the Native American Children's Association, fostering mentoring programs for youth with local people. Recent lectures include various business venues; the National Youth At Risk Conference, GA; Regional Louisiana Teachers' Conference; University of Mary; National Justice of the Peace Conference; 2006 Fed-State-Tribal Judges Gathering; Faith Ministers Training, Prosecutor's Conference; McGuire Advocates Conference; Federal Sexual Assault Trauma Team; Coalition Against Domestic and Sexual Violence;Chiefs of Police Conference; Annual Sheriffs' Conference; the Montana State University Conference on Race; the United States Attorney Statewide LECC and Anti-Terrorism Advisory Council Conference, the Carbon County Teachers training, and trainings for every Montana Tribe as well as several Four Corners Tribes. Eleanor Guerrero has been a keynote speaker for the United States Attorney Four Corners Regional Conference and keynote speaker for two national federal BIA conferences. She speaks internationally as well.